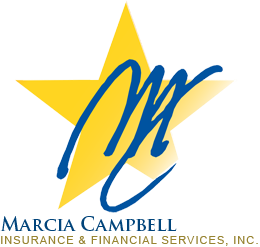 Marcia Campbell Insurance & Financial Services, Inc. is a financial services firm committed to helping our clients improve their long-term financial success. Our customized programs are designed to help grow, preserve, and conserve our clients' wealth. We encourage you to explore our site and learn more about the services we provide. Should you have any questions or would like more information on our firm, please feel free to email us at [email protected] or call us at (402) 467-3440 . We look forward to hearing from you. Working with clients and referrals, Marcia strives to give each individual and family the personal attention and dedication they deserve. Marcia utilizes the following to assist clients with their investment* and estate planning goals: asset allocation, retirement income planning, managed accounts, and tax advantaged investment strategies. Marcia has built her company on the principles of understanding and education. Understanding a client's current financial situation, then listening to their concerns about the future and their financial goals, then education so they can make prudent financial decisions to help meet their goals.